The hardest time of year to get out of the house can also be the most rewarding (and romantic). Just because it’s snowy out there doesn’t mean you and your significant other should give in to three months of wearing sweatpants around the house. Maybe you’re looking for a night out with your partner after too many nights in. Maybe you’re meeting someone new and hoping for a reason to hold mittens. No matter your situation, these date night ideas in Chicago should work better than mistletoe at setting up some holiday romance. Plan a night out at the Skating Ribbon, the winter centerpiece of the amazing Maggie Daley Park. At twice the length of a traditional skating rink, the uniquely shaped track feels less like you’re going in circles and more like you’re going on an adventure — and can be the perfect excuse to grab your dates hand. Afterward, head across Michigan Avenue to the Chicago Athletic Association, where the roaring fireplaces at the Drawing Room are the coziest place to warm up with a cocktail in hand. In the same hotel, a sumptuous feast amidst the elegant wood paneling of Cherry Circle Room will make you feel like you’re having Christmas dinner with the millionaire great-uncle you never had. Skating Ribbon, 337 E. Randolph St., Chicago Athletic Association, 12 S. Michigan Ave. In the ever-competitive field of holiday classic tales, The Nutcracker is always a perennial contender. Chicago’s Joffrey Ballet has taken the classic tale in a bold new direction, with a reimagined story around the events of Chicago’s 1838 World’s Fair. The performance benefits from new scenery and the local flair — while still keeping true to the core elements that make it a holiday staple. Enjoy an early dinner in the festive interior of the Atwood Cafe beforehand to get the evening started right. After the show, end the night with a trip to the Christkindlmarket for a taste of German culture. Vendors from around the world fill Daley Plaza with handmade wares and authentic cuisines. Don’t forget to buy your date a heart-shaped mug of hot wine. Atwood Cafe, 1 W. Washington, The Nutcracker at Auditorium Theatre, December 1 – 30, 10 E. Randolph, Christkindlmarket, 50 W. Washington St. The department store window displays in Chicago have grown into their own unique form of art. And few stores can compare to the grandeur of Macy’s on State Street&apos;s magnificent windows, circling the building with a tale of holiday whimsy. The lighting, decor, and special effects rival that of local stage productions. After a brisk walk around the building, pop inside for a meal at one of the most festive spots in town – the Walnut Room. Some of the dishes on their menu are so classic, they’ve been on there since before your parents were born. Request a spot next to the Great Tree to impress your date and snag a great photo opp. 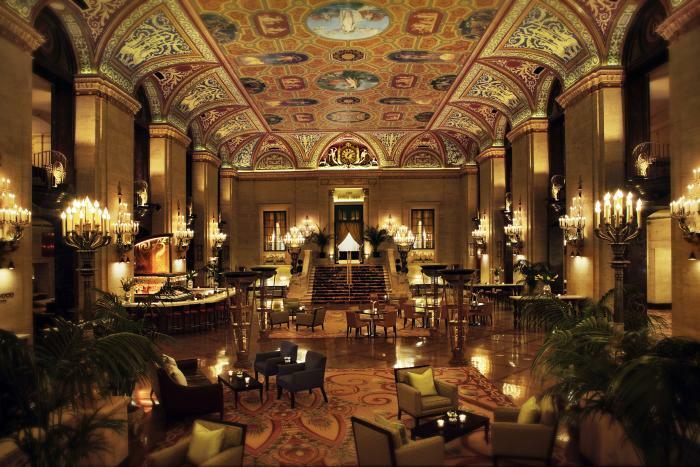 Afterwards, stroll over to the Palmer House for a nightcap in their magnificent lobby bar. Macy’s on State Street, 111 N. State St., Palmer House Hilton, 17 E. Monroe St.
Each December, Revolution Brewing’s Tap Room hosts the Revolution Holiday Craft Show. Walk the rows of local vendors, each showing their best handmade goods, while sipping one of Revolution’s popular craft brews. Grab a few holiday gifts while you’re there (maybe one for your date, if it’s going well). Next, hop on the L’s Blue Line for a short ride into the heart of Logan Square. Stop into The Radler, frequently called Chicago’s best beer hall, for hearty German fare in a cool, urban space. 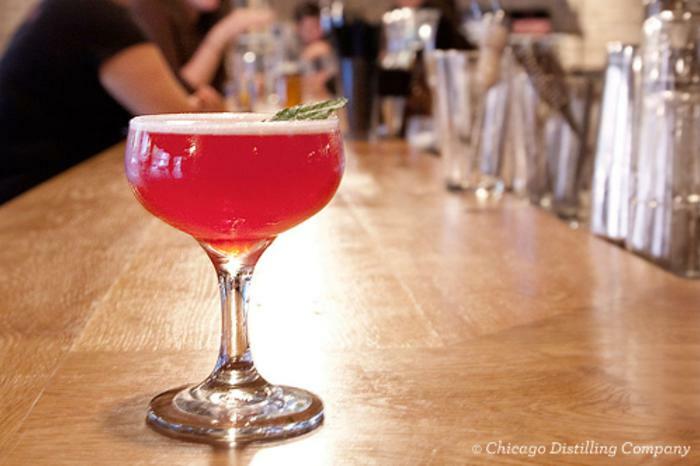 Keep the night’s locally made theme alive by walking down the block to Chicago Distilling Company. You and your date can take a distillery tour, then settle in to sample the handcrafted spirits. Revolution Craft Show, Dec. 16th, 3340 N. Kedzie Ave., The Radler, 2375 N. Milwaukee Ave., Chicago Distilling Company, 2359 N. Milwaukee Ave.
ZooLights, now on it’s 24th year, draws thousands to Lincoln Park Zoo to marvel at the millions of twinkling lights. A totally free event, the spectacle also has a few special one-off evenings, including an adults only evening, a craft market, and a craft beer evening from. 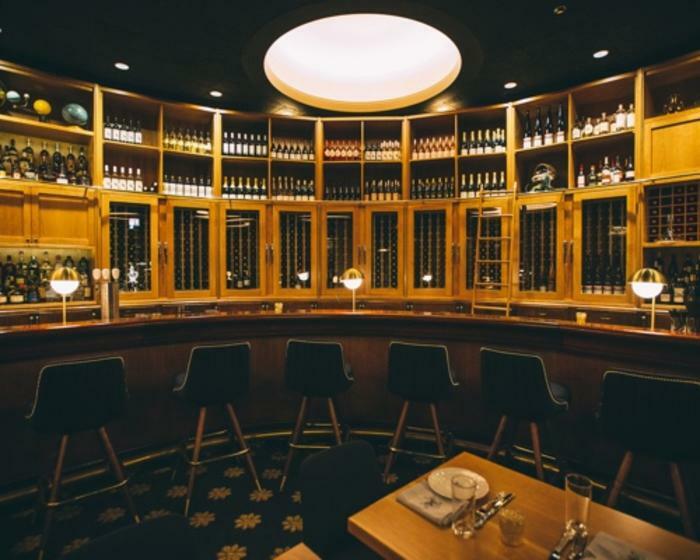 Heat things up with dinner at Geja’s Cafe, known by locals as one of the best date night spots in the city. The piping hot fondue should warm you right up after a winter’s walk. After dinner, grab tickets for the annual holiday show at The Second City, the famed comedy club just a few blocks away. Lincoln Park Zoo, ZooLights various dates through Jan. 6, 2001 N, Clark St., Geja’s Cafe, 340 W. Armitage, The Second City, 230 W. North Ave.